Enjoy Doe Valley amenities in this remarkable 3 bedroom, 2.5 bath home with 2250 finished sq. ft, open great room, built-in gas fireplace, formal dining, triple tray in master bedroom, ceramic and hardwood floors, open balcony, the kitchen, a cook's dream, features built-in ovens and massive cabinets, dual heat & air system with humidifier and air cleaner. Must See! Custom Built. Direction: Left on Hwy 1638, left into Doe Valley, right at stop sign, left on Pine Point Road, right on Pine Ridge Rd, right on Ridge Pole, house on right. Doe Valley is a subdivision within the city of Brandenburg, Kentucky. There are currently 25 Homes for Sale within Doe Valley, with asking prices ranging from $2,500 to $394,900. The average list price per square foot of the available inventory in Doe Valley is $90, which is below the Brandenburg average of $106. The Average Sales price of all sold real estate in this subdivision for the past year is $213,647. Recent comparable homes have been selling for 96.26% of their asking price. Waterfront homes represent 56.00% of the available Doe Valley inventory. The population of Brandenburg, according to the 2010 Census, is 2,643. The total number of households in the zip code of Doe Valley is 4,376, with an average household size for of 2.60 people. The total number of renter households within the zip code of 40108 is 1,025, which means that 76.58% of households in this zipcode are owner occupant households. 154 Ridge Pole Rd, Brandenburg KY 40108 is a Home, with 3 bedrooms which is recently sold, it has 2,250 sqft, SEE LEGAL sized lot, and 2 Car Garage,Attached,Entry Front parking. 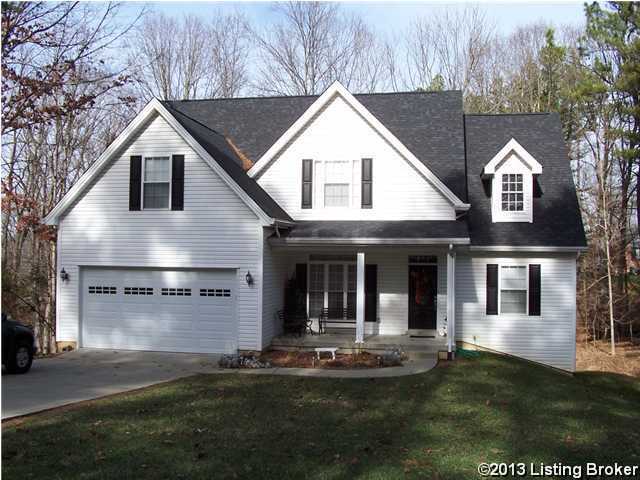 A comparable Home, has 3 bedrooms and 3.5 baths, it was built in and is located at 27 Pine Ridge Dr Brandenburg KY 40108 and for sale by its owner at $ 189,900. This home is located in the city of Brandenburg , in zip code 40108, this Meade County Home, it is in the DOE VALLEY Subdivision, and DOE VALLEY are nearby neighborhoods.